There’s something about Mary that inspires such love and devotion. For some it’s her maternal instinct as the mother of Jesus. Or the challenges the Blessed Virgin faced throughout her life. Or her own fidelity to God and her support and intercession on our behalf. The reasons are as unique as each individual. 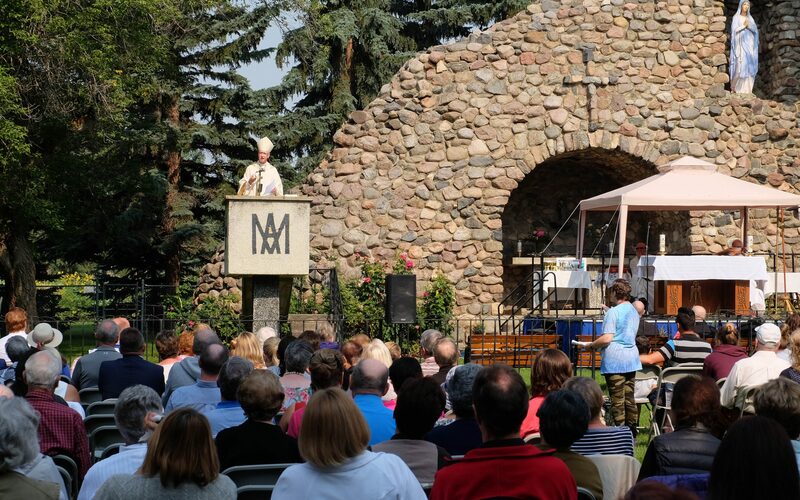 And for 80 years, thousands have flocked to St. Albert to pray at the seven-by-10-metre stone grotto built in her honour by seminarians from the Oblates of Mary Immaculate. This year, a steady stream of people made their way to the grotto for the annual pilgrimage on the Aug. 18-19 weekend, and packed the outdoor Mass and picnic. Mimi Belhumeur, 91, attended the very first St. Albert pilgrimage. 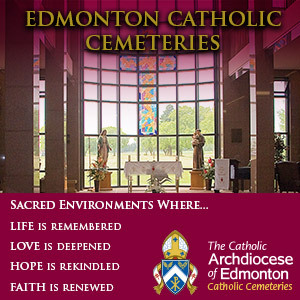 Her family first moved to the St. Albert area in 1936. For many women in particular, Mary is a role model. “She is not just a woman up there on a pedestal. She went through a lot of things in her life. 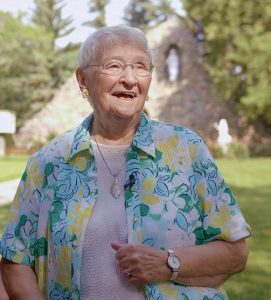 And I think she is a good model for us,” said Mimi Belhumeur, 91, who has been attending the St. Albert Pilgrimage since it began. She was 11 at the time. Now that devotion has been formally recognized. 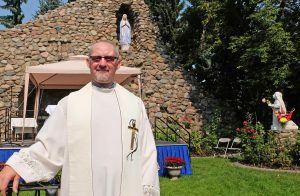 The Archbishop of Edmonton has officially declared Mary’s Grotto a Marian shrine. It’s the second such declaration in as many weeks. The grotto at Skaro, northeast of Edmonton, received the same recognition as pilgrims marked the 100th anniversary of that pilgrimage. 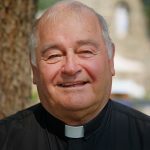 The declarations stem from last year’s celebration of Canada’s 150th birthday, when bishops across the country consecrated their dioceses on July 1 to the protection of the Blessed Virgin. Kristen Schiller does that. She said she can relate to Mary on a spiritual level, and on a personal one. 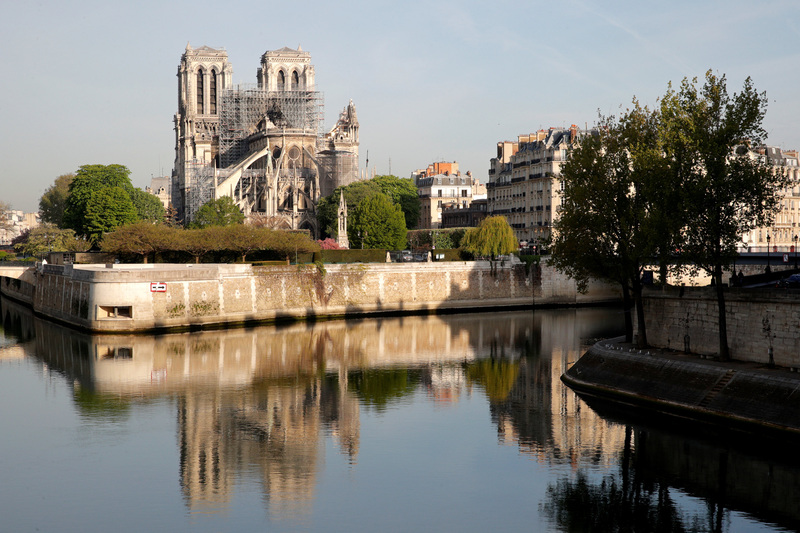 “Seeing everything she had to go through as a mother, and now being a mother myself, her struggles give me strength to know she could go through that and still be so holy,” said Schiller, whose four kids range in age from seven years to three months. The declaration of the grotto as a Marian shrine is a recognition of Mary’s importance, Schiller said. 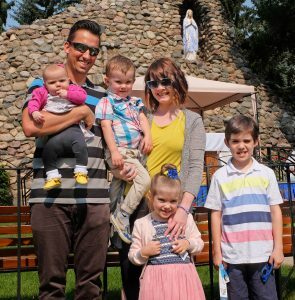 Schiller and her husband Greg were married in St. Albert Parish, and every year the family tries to attend the pilgrimage to the grotto behind the church building. From the church windows, Father Warias, the pastor of St. Albert Parish, can see visitors praying to the Blessed Virgin Mary every day. “They come to seek the intercession of Mary in whatever needs they have in their lives. This is not artificially made as a shrine. 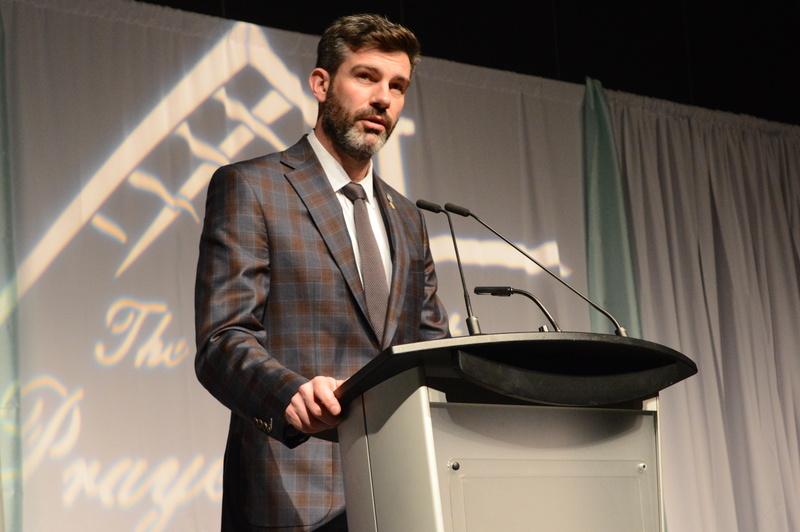 It is recognition of what has been happening for 80 years. 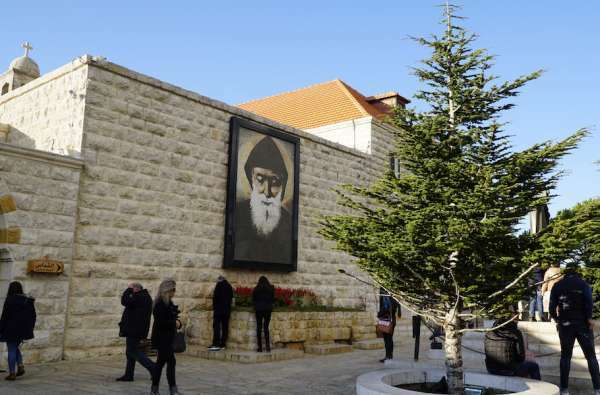 “Many people have contributed with their prayers and their sacrifices to make this place holy,” Father Warias said, not the least of whom are the Oblates. 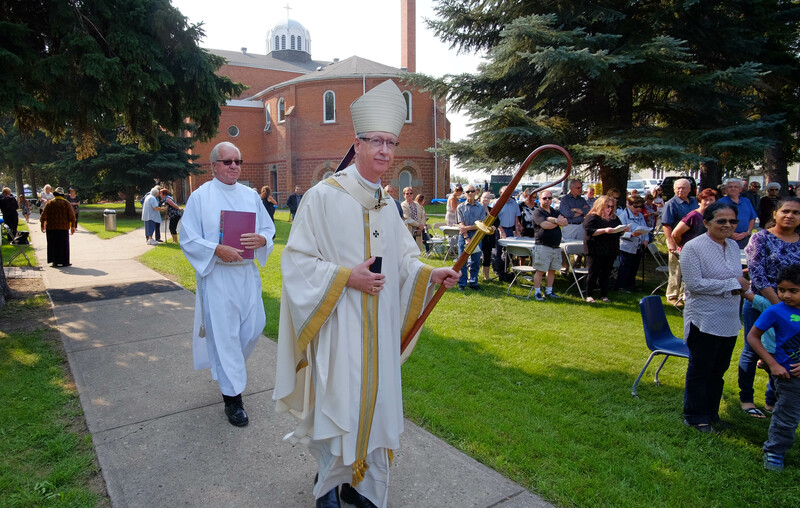 Their history in St. Albert dates back to the mid-19th century, and the Marian declaration – and the St. Albert Pilgrimage itself – is seen as recognition of that. 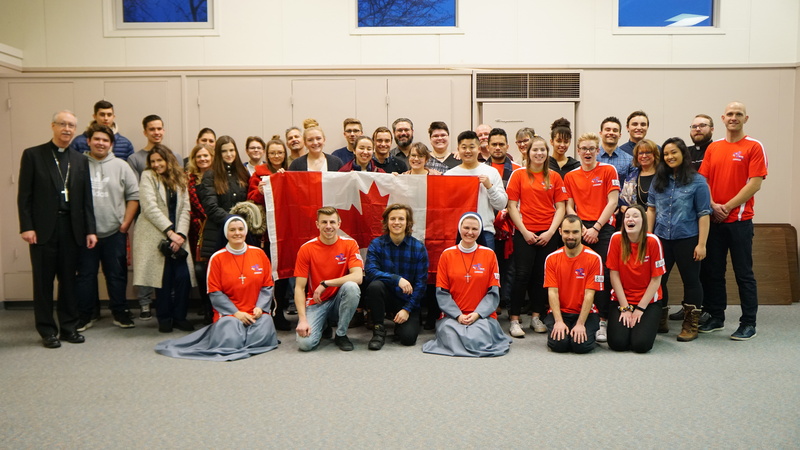 “It’s a great gathering of a community of faith,” said Father Ken Forster, the provincial superior of the Missionary Oblates of Mary Immaculate.